I’ve been concerned about my bees because I’ve seen NO activity during recent warm days. I had been told to expect minor activity on warmer days as the bees take “cleansing flights” to relieve themselves outside the hive. So far, nothing. I’ve peered into the hive entrance a few times, and though there have been some dead bees, I never saw mounds of them. Yesterday was a warm day, in the high fifties, though overcast, so I decided to take a quick look inside. I’m sad to report that the hive was empty. It looks more like they left than like they died. There aren’t enough bee bodies for dying. There is lots of capped honey so they couldn’t have starved. I last saw them on Thanksgiving weekend. I’m not sure when they left or why. I’m not discouraged though. Chalk it up to a learning experience about a new hobby. I’ll try again this spring. 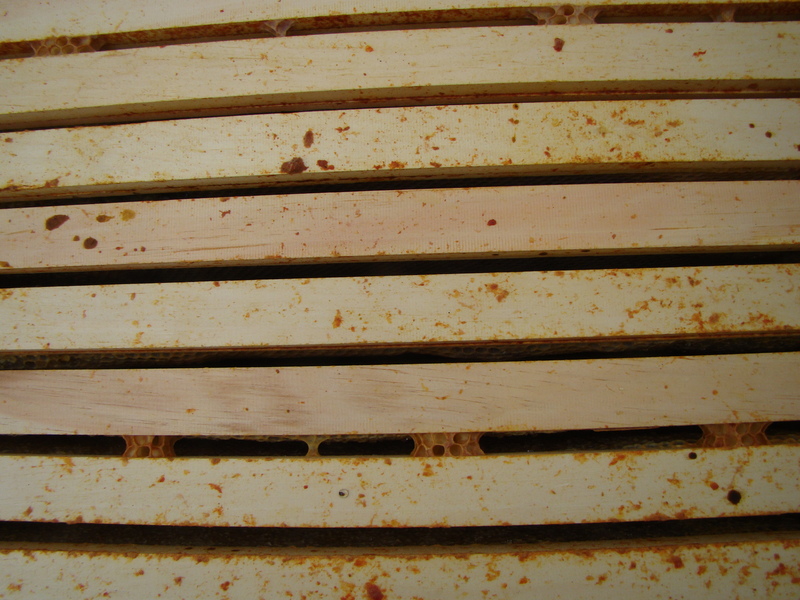 Hopefully there’s nothing wrong with the frames in the hive, and the new bees will have a healthy head start.